There is no "I" in "teamwork," but there is a "me" and a "we." When talking about building an effective managing partner and administrator team, the trick is to cultivate the "we" and eliminate the "me." In 2010, John Michalik, the former executive director of the Association of Legal Administrators (ALA), undertook a research project that was targeted toward identifying the important role that managing partners and administrators play in making law firms successful. 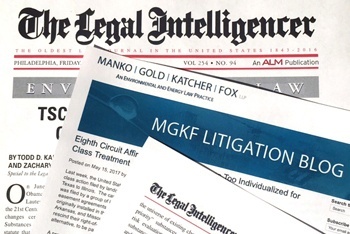 Manko, Gold, Katcher & Fox was selected to participate in Michalik's research, and we were asked subsequently to participate in a panel discussion, "Creating and Maintaining an Extraordinary Managing Partner/Administrator Team," at ALA's annual conference in May 2011.